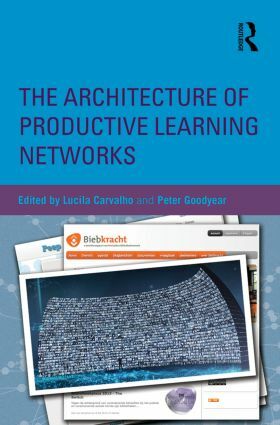 The Architecture of Productive Learning Networks explores the characteristics of productive networked learning situations and, through a series of case studies, identifies some of the key qualities of successful designs. The case studies include networks from a variety of disciplinary and professional fields, including graphic design, chemistry, health care, library science, and teacher education. These learning networks have been implemented in a variety of settings: undergraduate courses in higher education, continuing professional development, and informal networks for creating and sharing knowledge on a particular topic. They are rich in reusable design ideas. The book introduces a framework for analyzing learning networks to show how knowledge, human interaction and physical and digital resources combine in the operation of productive learning networks. The book also argues that learning through interaction in networks has a long history. It combines ideas from architecture, anthropology, archaeology, education, sociology and organizational theory to illustrate and understand networked forms of learning.